There has been an increase across the UK of men and boys suffering from eating disorders, according to research by BBC Panorama. There has also been a rise in the number of under-18s seeking help. But less is spent on services to treat people of both genders with eating disorders in Wales than in England, a BBC Wales investigation found. The UK's largest eating disorder charity, Beat, said people with eating disorders "deserved better". 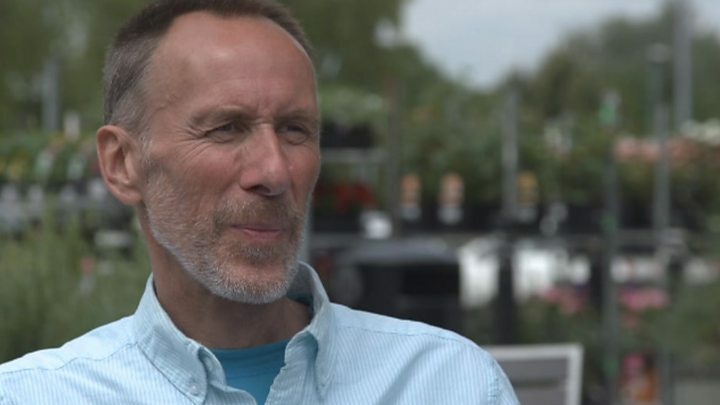 Panorama investigated the scale of the problem across the UK by asking every mental health trust and board how many men were referred to eating disorder services for a first assessment. From those that responded, it showed in 2016 there were 871 referrals, an increase from 2014 of 43%. It also found a 42% rise in under-18s of both genders receiving help in 2016 compared to 2014, as well as a postcode lottery when it came to waiting times with lengths varying from less than a week to almost a year. BBC Panorama's research revealed health trusts and boards across the UK have turned down more than 470 referrals for eating disorders for men, women and children for a variety of reasons. Eating disorders have the highest death rate of any mental health illness and are estimated to affect 1.6 million people in the UK, including approximately 400,000 men and boys. In Wales, the Welsh government said it spent more on mental health services than on any other part of the NHS. It said it spent £250,000 a year to improve care for children and put another £1m into specialist services for adults. But in England, £30m a year is spent on children's services alone. It is estimated that England spends more than six times on these services per head of general population than Wales does. BBC Wales found two of the seven health boards in Wales did not record the number of people assessed for eating disorders. On Monday's Week In Week Out programme, rugby referee Nigel Owens will look at the growing number of men and boys coming forward for help. Health Secretary Vaughan Gething said health boards needed to be aware of how many people needed help. "What we don't want is a best guess approach to making these choices," he said. "Because that potentially means that we over provide or, given we think for men in particular they're likely to under-report, that we don't have enough provision in place for the need that exists." He added the mental health spend in England had not always found its way into the service. Andrew Radford, chief executive of Beat, said: "The biggest concern we hear about in Wales is one of underfunding, especially when you compare it with England. "People suffering from eating disorders in Wales deserve better than they're getting, and they deserve more funding for resources and more priority for their problems." Mr Owens told Week In Week Out: "I've struggled with an eating disorder for over half my life. It's a very secretive illness and men in particular find it very difficult to talk about it. He said he struggled with his own sexuality and with depression as a teenager. "I started realising that the type of person I was finding attractive was not finding me attractive, or would not find me attractive because I was fat. I was overweight, I was obese in my eyes. "I started making myself ill, I wanted to lose weight so I'd go to the toilet and I'd make myself sick pretty much every meal nearly." BBC Wales sport presenter, Steve James, developed anorexia in his 40s. "It really wasn't about body image because I know I looked dreadful," he said. "When I was at my lowest weight I did look like I shouldn't almost be alive, I looked like a picture out of a horror film, but I was so hooked on setting a target, setting a weight that was the only thing that gave me back that control of my life." He added he suffered with depression for years and anorexia - then later bulimia - started as a way of controlling his extreme anxiety. "I might go for a period where I would have a bit of yoghurt occasionally," he added. "I would find that I could go days, even longer without eating at all and then there would come a point where I would have to eat and then I would binge. "The fear is a long term impact because my BMI is under what it should be, you know, there could be damage, I know this. "I feel like a failure to be honest. I can't function the way I should function. "I don't really want to inflict the bad things about it on myself but I just can't stop. Something won't let me." A Welsh government spokesman said it had a commitment to ensure people of all ages experiencing eating disorders were able to access appropriate and timely services. It said its investments were "having a positive effect and speeding access to services" but there was always work to be done. If you need support with eating disorders, help and support is available by via the BBC Action Line.